Abstract: Self-reconfigurable modular robots are metamorphic systems that can autonomously change their logical or physical configurations (such as shape, size, and function), as well as their locomotion and manipulation, based on the mission and the environment in hand. Because of their modularity, versatility, self-healing ability and low cost reproducibility, such systems provide a flexible approach for achieving complex tasks in unstructured and dynamic environments. The construction and control of these robots, however, are very challenging due to the dynamic topology of the modular network, the limited resource of individual modules, the difficulties in global synchronization, the preclusion of centralized decision makers, and the unreliability of communication among modules. This talk presents SuperBot and StarCell self-reconfigurable robotic/satellite systems and a distributed and reliable control architecture and algorithms for such systems. The approach is inspired by the biological concept of hormones and provides a unified solution for self-assembly, self-healing, self-learning, self-reconfiguration, as well as tasks of precision locomotion, manipulation, shape-shifting. Modules are modeled as autonomous agents free from globally unique identifiers and they can physically connect and disconnect with each other and communicate via content-based messages. Specifically, this talk will present SuperBot/StarCell modular designs, distributed representation and control for configuration, topology, collaboration, negotiation, and topology-triggered behaviors, as well as scalable capabilities for multifunction, anomaly-detection, and healing, including some example demonstrations for bifurcation, unification, behavior shifting, and shape-alternations. 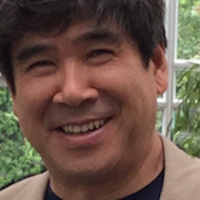 Professor Wei-Min Shen is the Director of Polymorphic Robotics Laboratory, the Associate Director of the Center for Robotics and Embedded Systems, and a Research Associate Professor in Computer Science at University of Southern California. He received his Ph.D. under Nobel Laureate Professor Herbert A. Simon from Carnegie Mellon University in 1989. Dr. Shen has more than 30 years of research experience in Artificial Intelligence, Machine Learning, Self-Reconfigurable and Autonomous Robots, and Life Science, and has over 120 publications and seven patents. He is the author of the book on “Autonomous Learning from Environment,” and the leader for the multi-million SuperBot and StarCell projects for developing modular, multifunctional and self-reconfigurable robots/satellites for space, and the inventor for Surprise-Based Learning and Hormone-Inspired Distributed and Decentralized Control. He served as chairs and committee members for various international conferences and workshops in Robotics, Machine Learning, and Data Mining, editorial board members for scientific books and research journals, and scientific advisors and reviewers for EU. His research activities have been reported by SCIENCE (9/26/1997 and 8/8/2003) and NATURE (5/28/2004), and media press such as CNN, PBS, BBC, Fox, Discovery, NHK, Newsweek, New Scientists, and other newspapers and magazines around the world. He has served as PIs for DARPA, NSF, NASA, AFOSR, ARO, Navy, AFRL, and other agencies. He is the recipient of Silver-Medal Award in AAAI Robotics Competition, World Championship Award for the First RoboCup Competition in Japan, Meritorious Service Award from ISI, Phi Kappa Phi Faculty Recognition Award from USC, Championship Award from ICRA Planetary Contingency Robotic Competition, and Best Paper Award from the 26th Arm Science Conference.